Charles Withrow home on Kankakee. Primarily, my River Bits columns center on the Kankakee Marsh of Northwest Indiana, however this story is so darn interesting I couldn’t resist including the tale of Charles Withrow. Charles Bell Withrow was born in 1834 to James and Margaret Withrow in Holmes County, Ohio. By the age of 17 he is working on a farm in Stephenson, Illinois. In 1852 Withrow married Jane Mallory. He was to marry three times during his lifetime and to the best of my knowledge sired 14 children. In 1860 Withrow is residing in Leavenworth, Kansas where in 1862 he begins his service during the Civil War. In 1863 he is serving in Company E of the Colorado 2nd Cavalry. Withrow was shot in the neck which he later claimed “affected his reason.” And thus begins his; what some would say erratic behavior that followed him for the rest of his life. After the war Withrow moved to Texas where he was committed to the “insane hospital” on three different occasions. Later he was committed to an “insane hospital” in Arkansas and twice in Jacksonville, Illinois. It was in Illinois that he married wife number three, Elizabeth Viola Hudson. 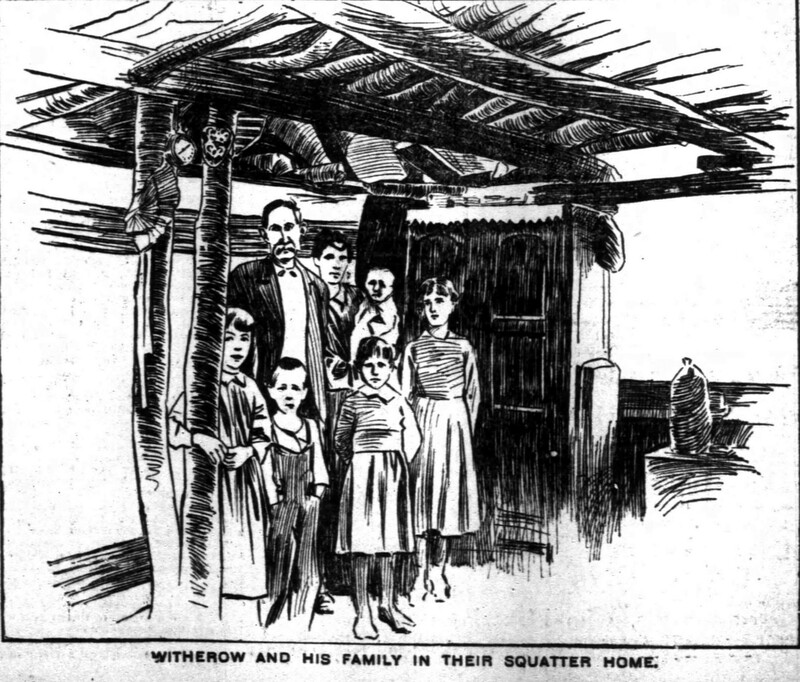 Withrow along with his family then moved to Waldron, Illinois in around 1890. It is at this point that Withrow’s story becomes really interesting! After release from the Kankakee Insane Hospital, Withrow went to work to provide for his family. He was an industrious and hardworking man and started a sewer contracting business. Although, successful his mental issues always seemed to return. Eventually, the people of Waldron had enough of Withrow and forced him to leave the community. Withrow and family then moved to an island in the Kankakee River a short distance upriver from the city of Kankakee, Illinois. Withrow’s island was one of the most picturesque of the Kankakee River’s islands and quite a healthy spot to raise a family, except for the voracious mosquitoes. He made plans to open a summer resort on the island. Withrow went right to work on his resort plan. He cleared out a large area of trees and scrub. He then cut a channel from the east side of the island to his home and resort site. He dug the channel solely by hand and ended the channel at his front door. 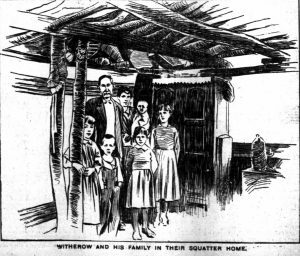 Withrow’s home was like a series of trenches covered with logs. The end result looked more like a cave than anything else. With all of Withrow’s grand plans for his Kankakee River paradise the one thing he neglected was actual ownership of the island. The landowner was not pleased with Withrow’s activities and began legal action to have him removed. Withrow acted in his own defense and did brilliantly until his mental problems reared up again. He and his family were removed to the poor farm where his physical health deteriorated. Charles Bell Withrow passed away on October 20, 1899.